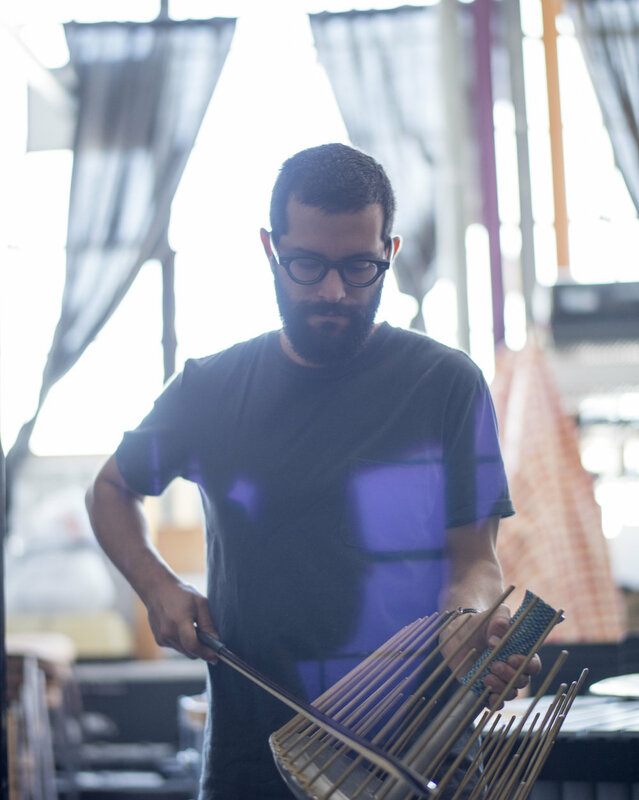 New York-based percussionist Russell Greenberg enjoys exploring creative and unclassifiable music. Internationally sought-after for his singular approach and interpretation, he strives to share his passion for the musical experience with a wide variety of audiences. As a founding member of the piano and percussion quartet, Yarn/Wire, Russell has collaborated with many of today’s leading composers to craft a body of new, wide-reaching and vital repertoire. At the vanguard of contemporary music, Russell frequently tours the world, having appeared at the Ultima (Oslo), Tectonics (Glasgow), Lincoln Center (NY), Barbican (UK), and Rainy Days (Luxembourg) festivals among others, and is a regular visiting artist at universities including Columbia, Brown, and Stanford. Russell is also member of Either/OR and the Wet Ink Large Ensemble, and appears with other prominent groups as well such as the International Contemporary Ensemble (ICE), Argento, and sfSound, with performances having been labeled as “fearless” (TimeOutNY), and “intrepid/engrossing” (The New York Times). He has worked with a many leading composers and conductors including Pierre Boulez, Peter Eötvös, Susanna Mälkki, Enno Poppe, Beat Furrer, and others. In addition to his work with contemporary music ensembles, Russell has toured and recorded with the bands Seaven Teares, Kato Dot, and Hi Red Center. Mr. Greenberg’s interdisciplinary work and collaborations include work with Theatre of a Two-Headed calf, the artist David Bithell, and Judy Dunaway. He has also penned music for the Off-Off Broadway theater production of Clubbed Thumb’s Gentleman Caller among others. Russell is sponsored by Pearl/Adams instruments and Paiste cymbals and has recorded for the WERGO, Bridge, Mode, Albany, Northern Spy, and Joyful Noise record labels.